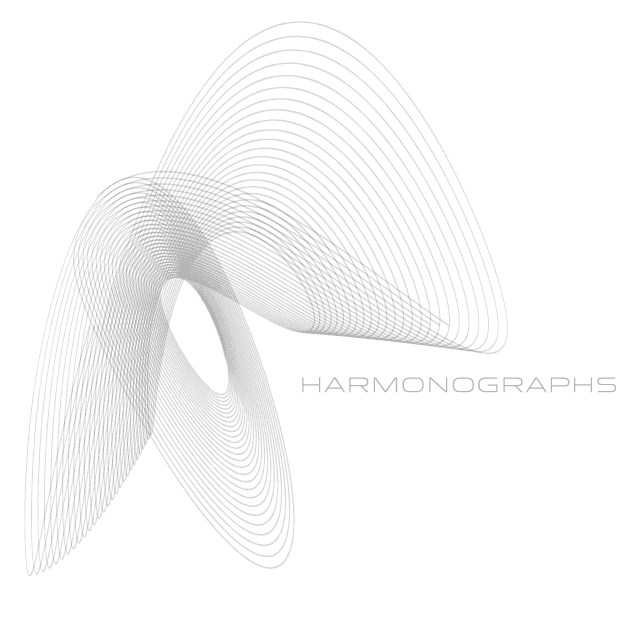 My path to discovering the world of “harmonographs” is slightly convoluted. It all began when House Industries announced that it would be digitizing and selling selections from the Photo-Lettering, Inc. type collection. Now, besides the fact that this will allow digital designers such as myself to take advantage of the analog type of yesteryear, House plans to sell the fonts in a more affordable way—one headline at a time. Just like Photo-Lettering did back some decades ago, House will allow designers to specify headlines for typesetting and then order only the glyphs that are necessary for the job. This keeps the cost to the designer/client down, and will hopefully stimulate volume sales. It’s revolutionary. I can’t wait. So how does this relate to harmonographs? Well, after hearing about House Industries’ plans, Grain Edit recently posted some photos of the Photo-Lettering, Inc. 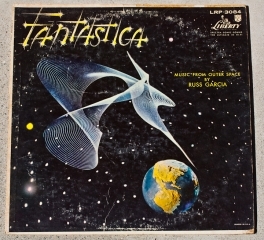 Alphabet Thesaurus, Volume 2. 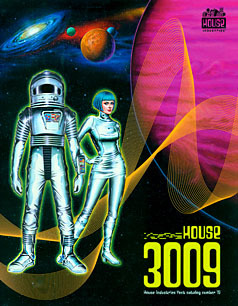 One page in the type specimen catalog includes these amazingly retro Spirograph-like images called “cosmographs.” I’d remembered seeing similar imagery gracing the cover of the House Industries “House 3009” type catalog, in all its Space-Age glory. 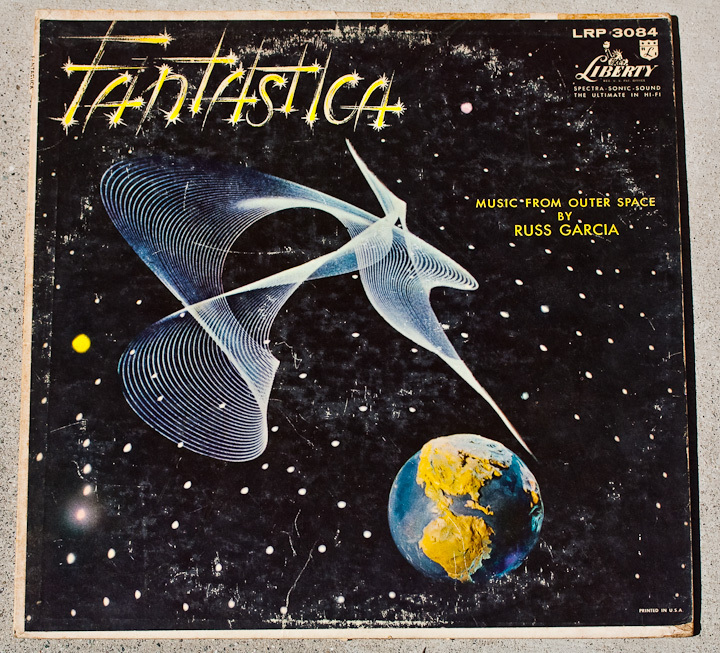 Also, when I recently visited House for their Tag Sale, I picked up a 12″ vinyl LP called “Fantastica: Music from Outer Space by Russ Garcia.” It too features a cosmograph-like image on the cover, again evocative of that whole 1950s/1960s film-and-television sci-fi zeitgeist. So, Google to the rescue, and I came across Cosmographs.com; not a terribly functional or attractive site, but fascinating nonetheless. I put two and two together and saw that the site credits Edward J. Lias, the same fellow mentioned on the Cosmographs page of the Photo-Lettering catalog (“Recorded by Edward Lias”). Looks like I am on to something, I thought. I tried his email address to no avail; my message bounced. A Whois lookup of his domain name leads only to his hosting provider. Dead end—sigh. Wikipedia time! I looked up information on Spirographs, those fun pen-and-ink toys I used to play with in school, and as Wikiing often allows, I eventually found the harmonograph, another variant of a pendulum-like line graph1 . Great, of course, but I wanted so badly just to be able to make them myself! Luckily, related links at the bottom sent me to subblue, an extraordinarily amazing site where one can actually create harmonographs (as well as guillochés, fractals, and mind-blowing M.C. Escher-esque graphics). The icing on the cake is that with a simple right-click and access to a PDF printer (I recommend CutePDF writer, by the way), the files can be saved, and voila. Vector harmonographs.